Hey y’all. 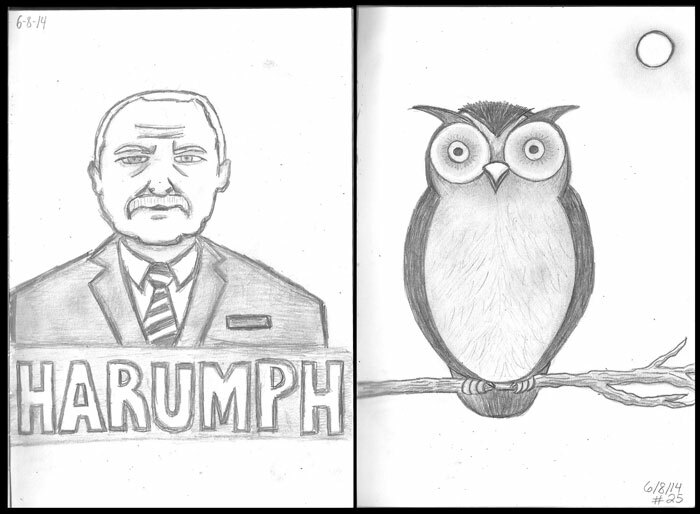 Looks like we’ve hit the fourth week of our Daily Summer Sketches. Can’t believe we’ve been doing this for so long already, but the proof is in the pudding. 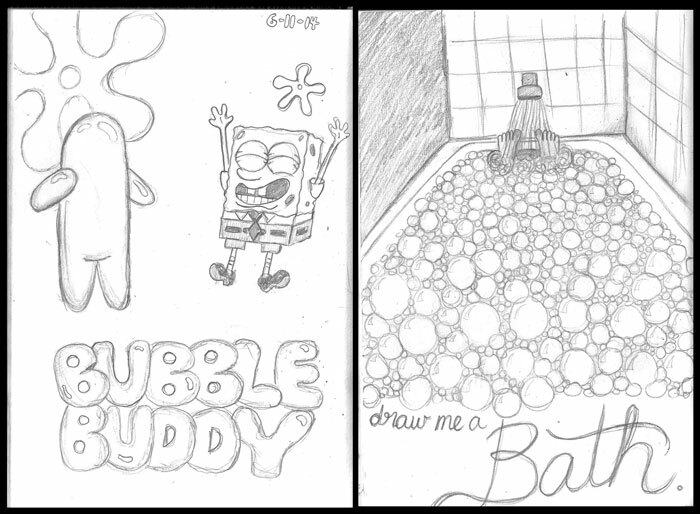 So without further ado, here are the Week 4 Sketches! 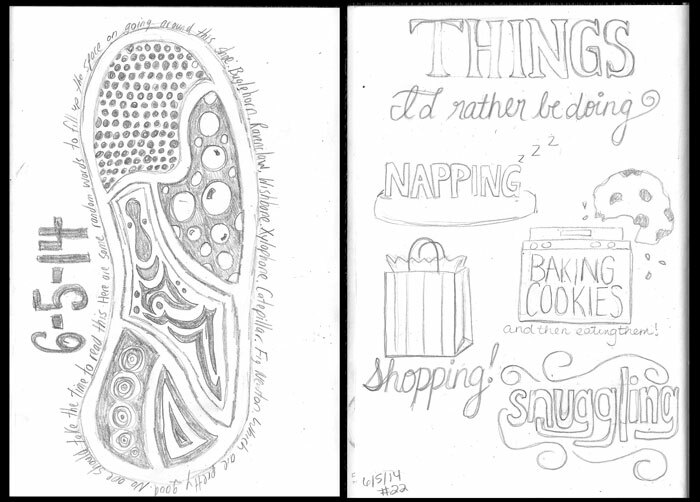 Day 22: Sean (left) lacked inspiration today and turned the pattern on the bottom of his shoe into a zentangle. Meanwhile, Stef (right) starts to get annoyed with the Daily Sketches and doodled all of the things that she’d rather be doing. 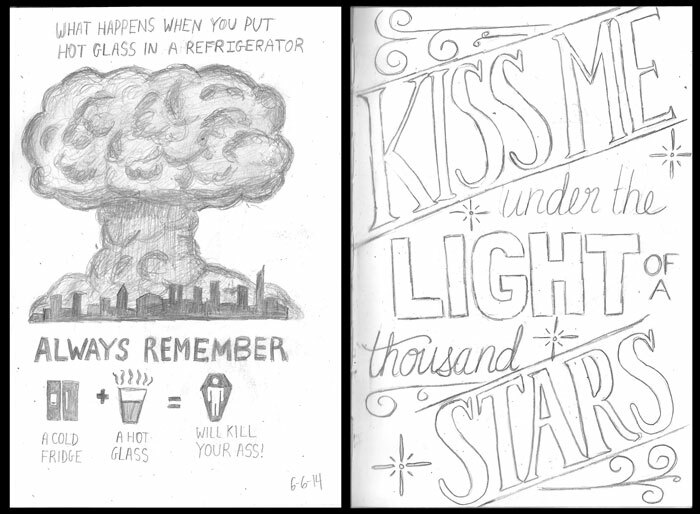 Day 23: Stef takes a line from her new favorite Ed Sheeran song and turns it into some beautiful hand lettering. Sean takes a cooking lesson he learned to the extreme and shows what happens when a hot glass meets a cold fridge. Day 24: A long day of drinking at a friend’s BBQ left Sean little time and in an inebriated state of mind. Easily his best sketch so far. 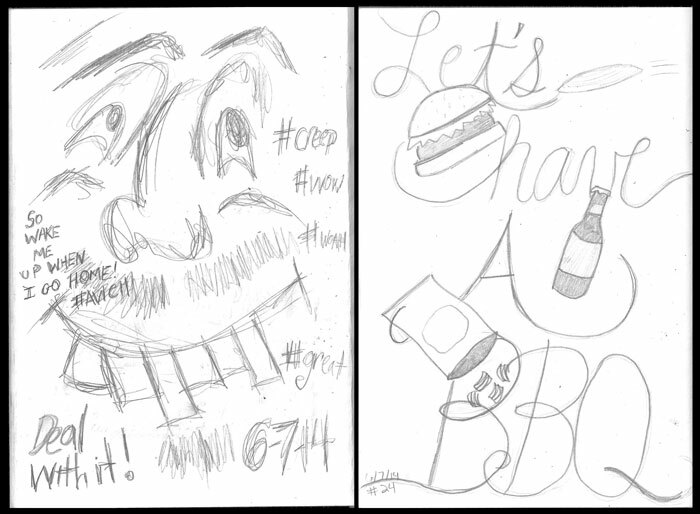 Stef puts in a bit more effort and puts together some nice BBQ-themed typography. 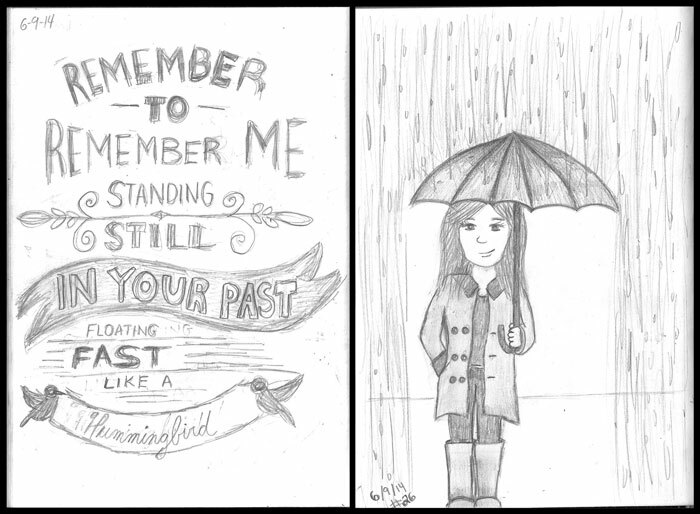 Day 26: A rainy day inspires a rainy sketch for Stef, while Sean works on some lyrics from a favorite Wilco song of his. Day 27: After recovering from watching A Fault in Our Stars earlier in the day, Stef takes a line from the movie and turns it into some great looking hand lettering. 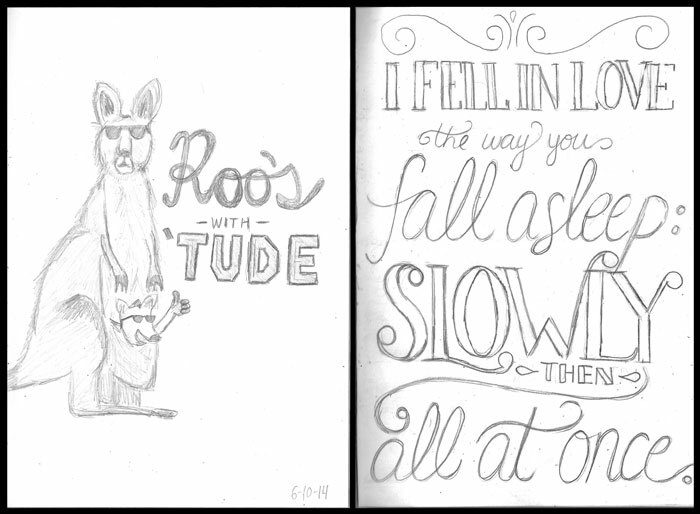 Curious about the insides of a Kangaroo’s pouch earlier in the week, Sean draws two cool ‘roos with attitude. So there you have it! Moving onto a new week with lots of new sketches to come soon! Keep checking back this week and every Thursday for more cool stuff.